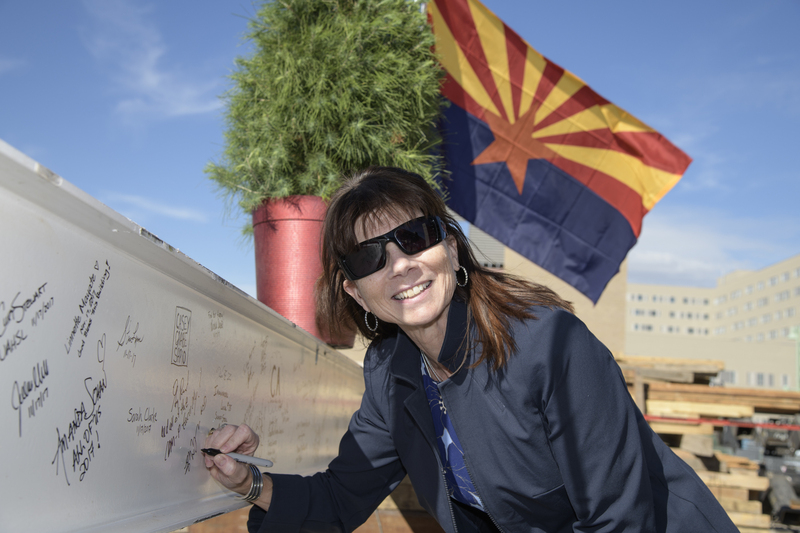 Covered with signatures and bedecked with U.S. and Arizona flags and a small ceremonial tree, the beam rose above the crowd that had gathered for the Nov. 17 "topping-off" ceremony, which was presided over by UA President Robert C. Robbins, Provost Andrew C. Comrie, and Leigh A. Neumayer, interim senior vice president for health sciences. 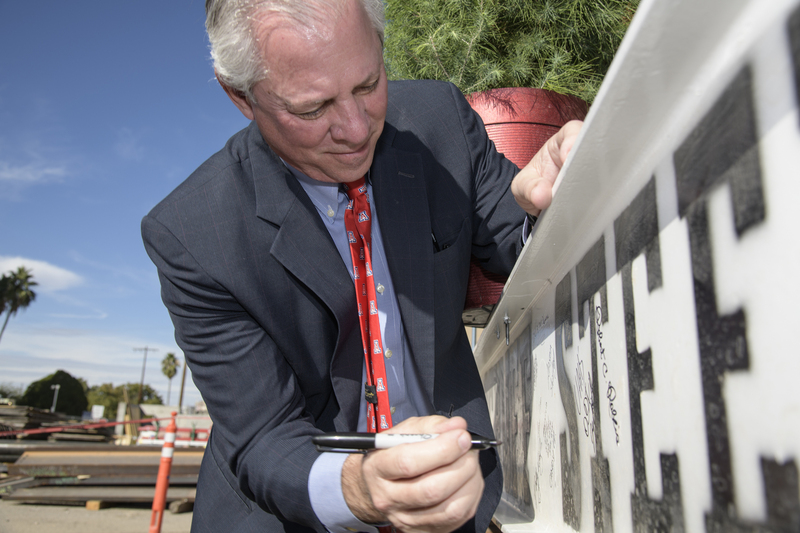 "This building represents an incredible opportunity," Robbins said. 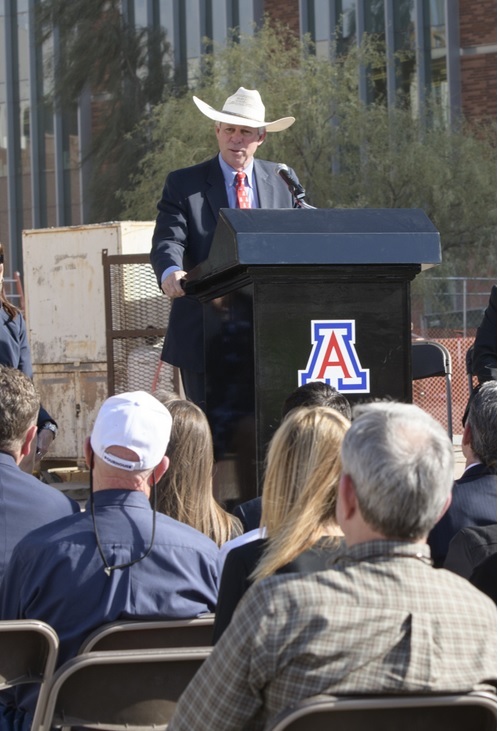 "It's a big part of what we're doing here at the university … around active learning and collaborative learning." 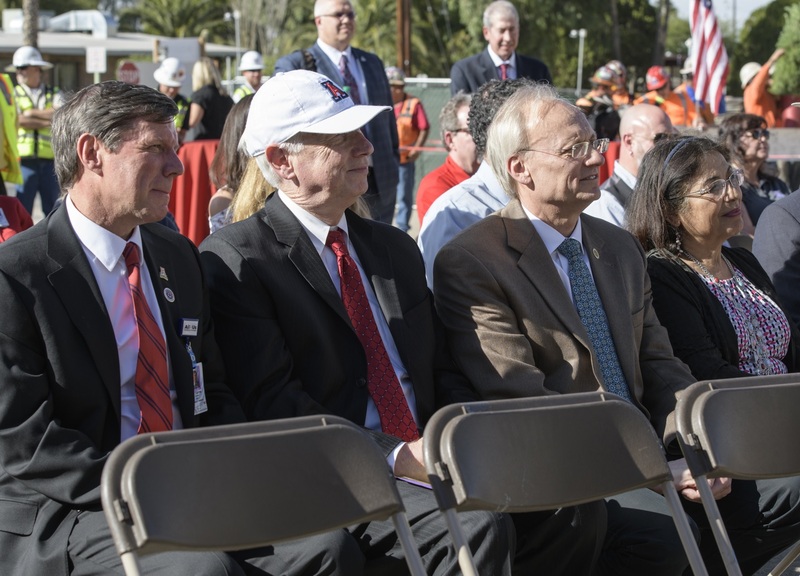 "That's the future, and I think that that's going to be the key to improving our retention rate, our graduation rate and providing our students with the tools necessary to go out and compete and work effectively in a team-oriented approach, certainly around the health sciences but around all of industry," he said. 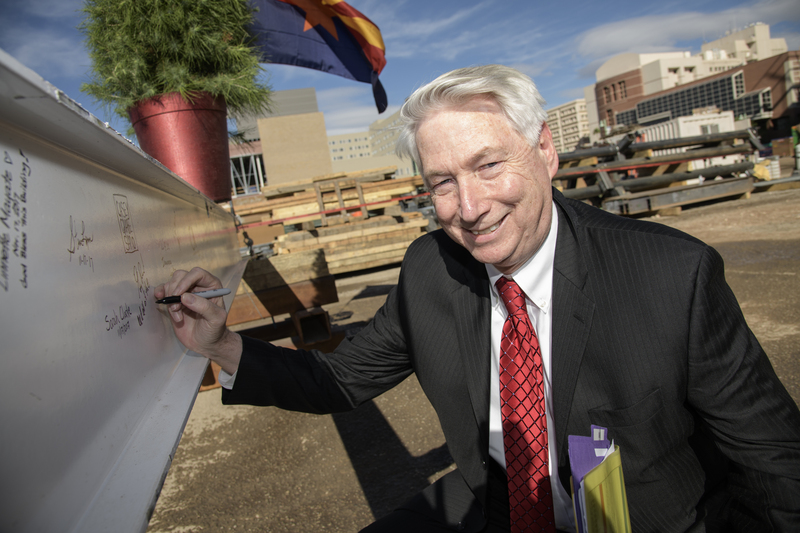 Attendees were invited to sign the steel beam before it was placed, a milestone in the construction of the $165 million, nine-story, 220,000-square-foot building at North Cherry Avenue and East Drachman Street on the UAHS campus. 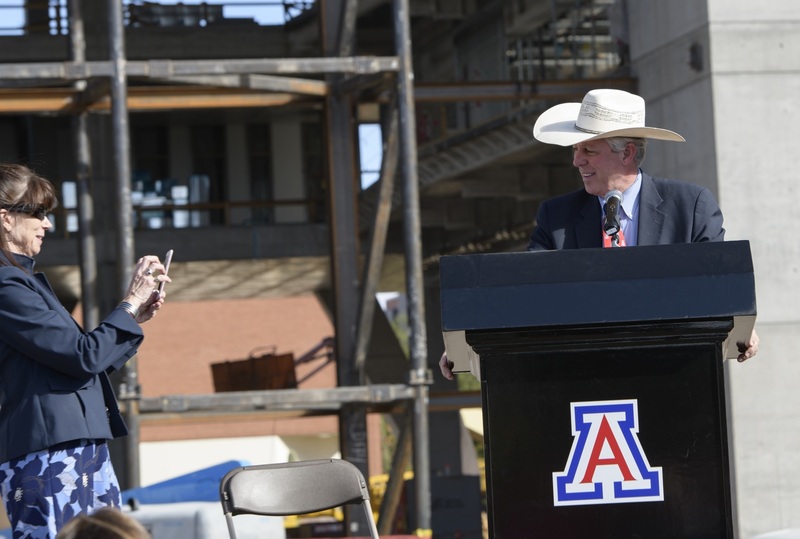 Construction began in June 1016. 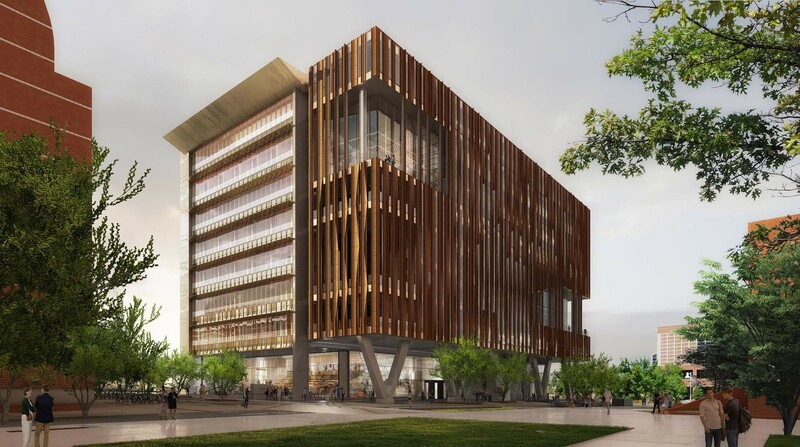 "To take a page from one of Dr. Robbins' favorite books … 'The Fourth Industrial Revolution,' this building represents our collective efforts to put humans first and empower technology to give us all a better quality of life through improved health, positioning us at the intersection of the physical, digital and biological realms," Neumayer said. 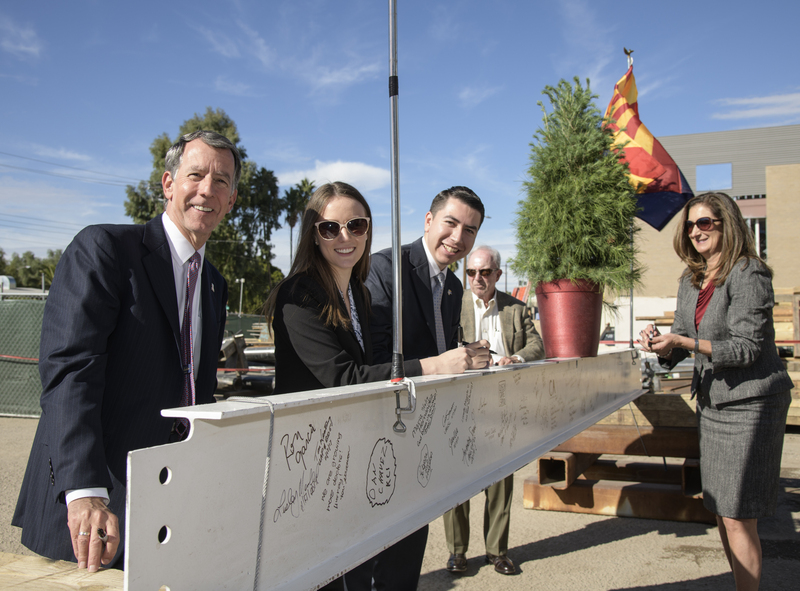 "It's an example of the continued collaboration of various stakeholders within health sciences, across the campus, at Banner Health, and through the community and the state, to ensure that the UA remains on the leading edge of innovative medical education." 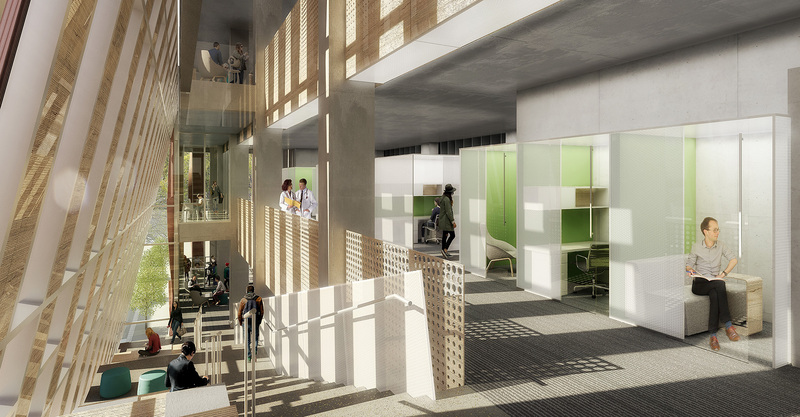 "Flipped classrooms" that can accommodate as many as 150 students for interactive learning. A "special events forum" that can accommodate more than 1,000 people. Clinical labs and simulation centers. 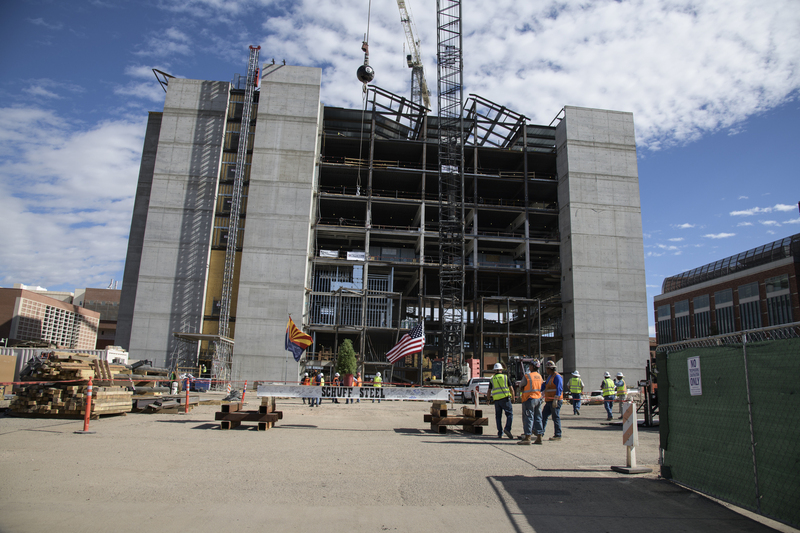 To learn more about the Health Sciences Innovation Building, click here. 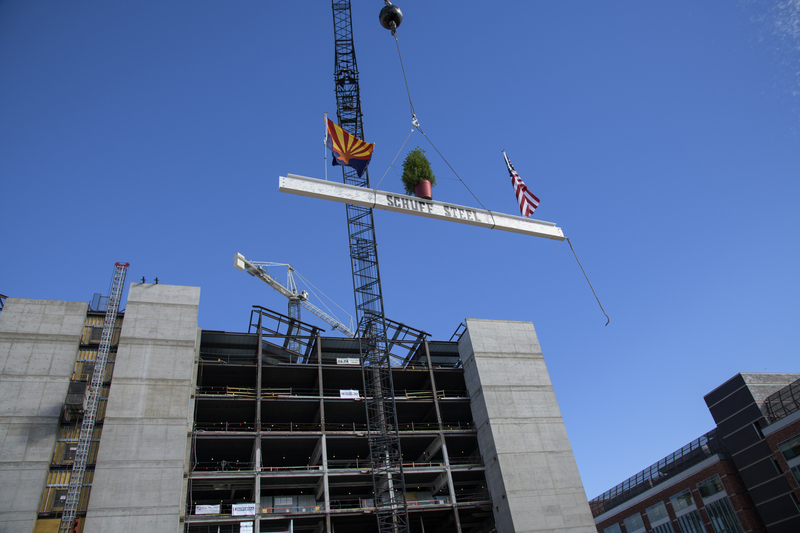 To see artistic renderings of how the building will look once completed, click here.